Eating carbohydrates raises your blood sugar; and you probably know you need to avoid them. But that’s not quite as easy as it sounds, is it? What if there was an easy, natural way to decrease the effect of carbohydrates on your blood sugar? A way that would let you eat a few carbohydrates without suffering the consequences – would you be interested? A study from Israel, the land of olive trees, has found that the leaves from olive trees contain several biologically active compounds that have the ability to lower blood sugar. The researchers took 79 men and women with type-2 diabetes, and divided them into two groups. For 14 weeks, one group took just one 500 mg tablet of olive leaf extract each day, while the others took a placebo. Guess what? 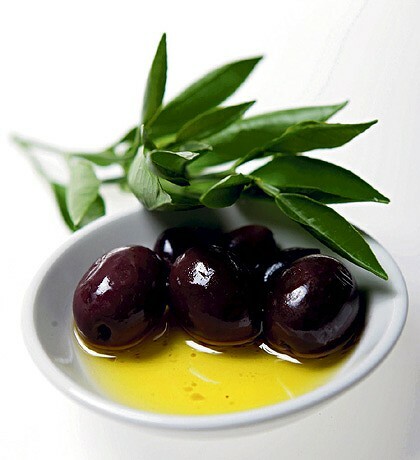 The patients treated with olive leaf extract had significantly lower A1c levels, indicating that their body was controlling their blood sugar much better than the placebo group. This was without any changes in their diets. They also had lower fasting insulin levels when they woke up in the morning. Now to me, this is even more interesting. Fasting insulin levels are determined primarily by the liver. During the night, the liver produces and releases sugar into the blood. It does this by converting fat into sugar. When that happens, the pancreas responds by increasing the insulin levels so that the cells can use the sugar. So the level of insulin in the morning represents the activity of the liver during the night. It looks like olive leaf extract is able to affect the liver in a very favorable way by causing it to decrease its production of sugar. That is a good thing. In another part of the experiment, the researchers studied the effects of olive leaf extract on rats. They found that the extract significantly reduced the ability of their intestines to digest and absorb carbohydrate starches. So it is possible that olive leaf extract may help to keep the blood sugar down by limiting how much carbohydrate your body actually absorbs. Does this mean you can eat your cake and not have to be concerned about your blood sugar anymore? No, that is definitely not the take-home message. But, it does look like adding 500 mg of olive leaf extract to your supplement program might be an easy way to reduce the effects of any carbs that might somehow slip by you. It might make the overall management of your diet more effective as well. Since one of the effects of olive leaf extract is to limit the absorption of carbohydrates, it might be better to take the olive leaf supplement three times a day before meals, rather than just once a day.